The waitress is proffering free macaroons. "Go on, have a taste," she says. Despite just having eaten perfectly cooked poached eggs on toast, I can't resist. They are soft and delicate and not overbearingly sweet. 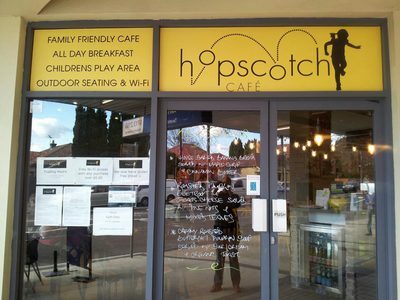 Hopscotch Cafe is new to Wareemba and is the first cafe that is not overtly Italian. In fact, their target market is parents, although the barrista is quick to point out that everyone is welcome. With a little play area for kids, mothers with children in tow meet for coffee during the week and families gather there for breakfast on the weekends. Open for breakfast and lunch, the food is fresh and simple but delicious. 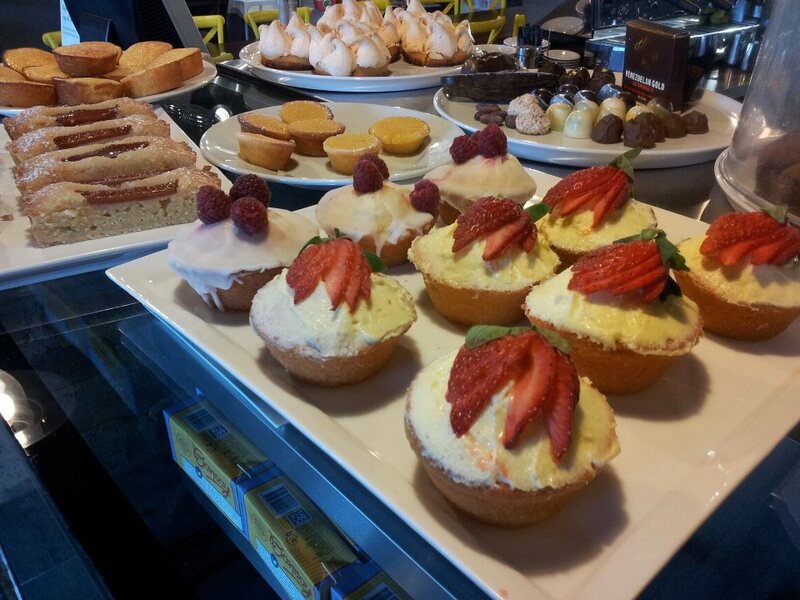 There are several gluten free options including sour-dough bread and bacon. They make their own baked beans on site and offer home baked banana bread, and a range of other sweet delights, and specialise in organic and free-range food. The coffee is good and the service consistently welcoming. A great addition to the Wareemba high street.